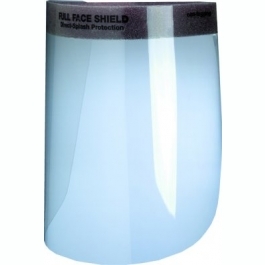 This Face Shield is made to fit over glasses and face masks. The adjustable velcro headband allows for a comfortable fit. The shield protects against splashing. It is anti-fog treated and latex and fiberglass free. Available in full and 1/2 shield sizes.